At Jax Driving School we make it our mission to use the safest student cars for all of our driver training courses. This helps to ensure a safe, stress-free experience for both student and instructor. We offer many courses to help you master the road. At our family-owned-and-operated driving school, you'll learn the ins and outs of safe and effective driving at a price that won't wreck your budget. Our competitive driver training class rates and friendly instructors make it easier for you to learn what you need to know to drive more safely. Contact our traffic school now to enroll in any of our driving training classes. Stop by Jax Driving School to inquire about the right class for your specific situation. Driver's education has never been easier or more enjoyable than with us because we strive to make your long class seem as short as possible. Sharpen your skills with lessons at Jax Driving and School corp. Our driving lessons are a convenient solution for parents helping their students prepare for their tests. 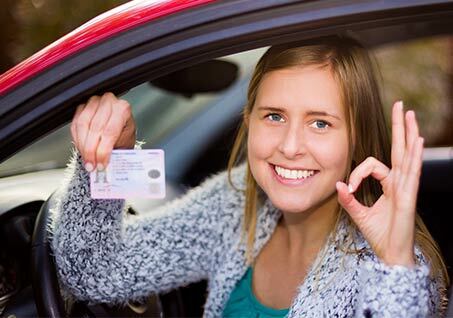 Our instructors pick your son or daughter up and bring them home at the end of the lesson, so your student benefits by maximum training time during each driving lesson. When it is time for your child to take the official test, he or she has the advantage of driving the same car used during every lesson. The instructor they have practiced with accompanies them during the test, so your trainee is comfortable with the examiner rather than being nervous. Jax Driving School offers behind the wheel training for manual and automatic transmissions. All lessons packages are taught in our own school vehicles. Our cars are late model mid-size vehicles and designed to teach and simulate real world driving. Our learning driver cars are state licensed and equipped with passenger brakes and other safety equipment to ensure our instructors can provide the safest stress free learning environment possible. The Basic program covers three-point turns, emergency stopping, backing up, parking, and residential street and low-density traffic driving. We provide transportation to and from the class. 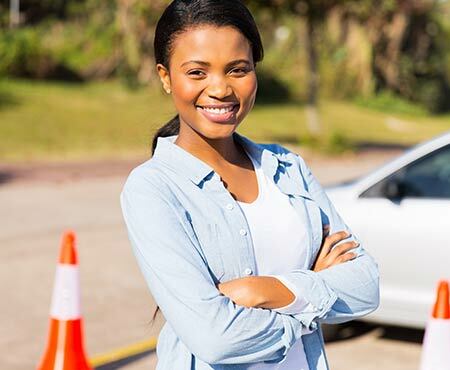 This package caters to the student's needs to get familiar with what they can expect in the DMV road test, and is our most popular package for just $310. Include the Road Test for $40 more. This program includes everything from the basic program, along with helping students get comfortable on major roads and highways. Enroll today for just $380 and include the Road Test for $40 more. Our advanced program covers everything in the previous packages, and also includes an insurance reduction certificate, as well. This more in-depth course ensures drivers are ready for just about anything on the road for just $430. Again, you can include a Road Test for $40 more. A four-hour classroom course is necessary to obtain the insurance certificate. Add extensive street and interstate driving to our previous packages with this options and get behind the wheel confident enough to drive anywhere. This class includes a four-hour classroom course and an insurance discount certificate for just $510, and you can include the road test for another $40. Get on the road confidently with 16 hours of instruction. This course includes everything from all of our other course, as well as extensive time on busy streets and interstates with an instructor along with you to help and guide you. Additionally, a four-hour classroom course is included that will earn an insurance reduction certificate. The class costs $650 and you can include the Florida Road Test for another $40. If night driving is a concern of yours, Jax Driving School can help. We offer night driving classes, whether driving at night concerns you or your schedule will only allow for night classes.